Image: Italianate style octagonal house, Recessed panels create the illusion of corner pilaster columns. The staircase, probably circular, is visible just inside the paneled front doors. The central chimney stacks indicate that the stoves or fireplaces were against the central interior walls of the principle rooms. 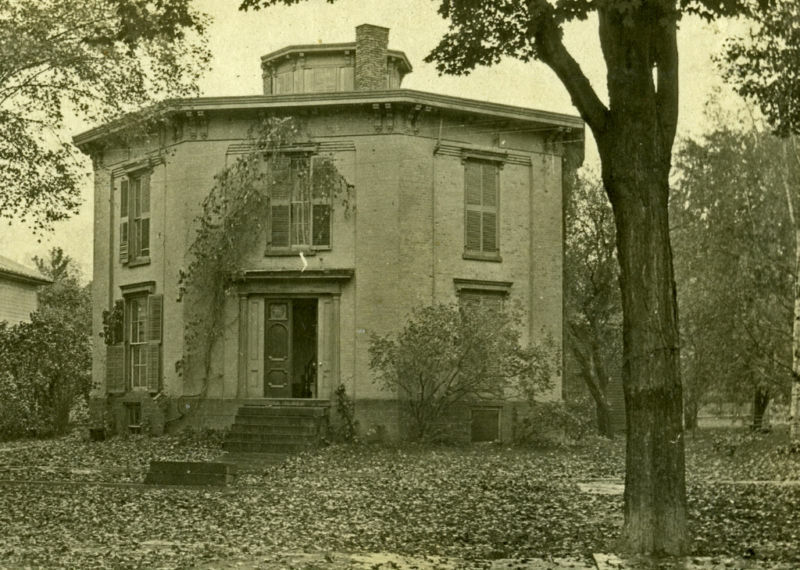 Location unknown, but it does not appear in the comprehensive listing of known octagonal buildings. ​Private collection. Endangered building listings are intended to publicize the impending destruction of an important structure. Most historic preservation organizations prepare an annual list of the most important endangered structures in their area. Sometimes the listing is symbolic, as for example all the Victorian schools in a city, or barns across a state. Sometimes a particularly important building may be listed for more than one year. This summary of listings includes both formal, official lists as well as individual buildings brought to my attention.